We have always focused on making photovoltaic systems that are also prestigious pieces of design. Such an innovative object should be considered first and foremost as a furnishing. It’s so futuristic that it becomes a unique experience. With Invent, this vision becomes reality. May the future begin! Invent’s philosophy is based on our inclination to invest in the future, understand the trends of development, and make choices ahead of time. According to this vision, our products will have an even more refined design, thereby standing out from any other solar panel available on the market. 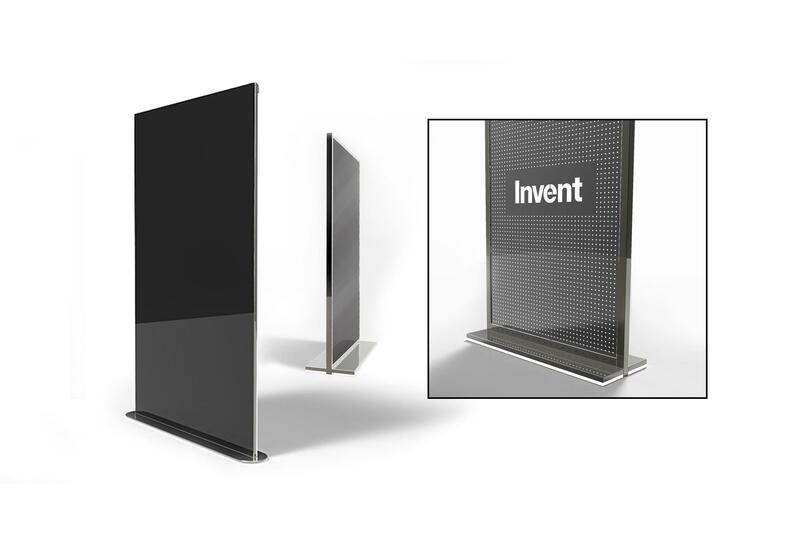 These futuristic panels feature a luminous front display with controls in the areas free of cells or a front light. The edges of the frame are rounded to adhere to an aesthetic concept. The product range is completed by a self-standing version with a polished rear panel. The frame can have double-sided lighting. The frame, coating, contour colours, extension of the cells with respect to the size of the frame are highly customisable. Moreover, we can make aesthetic changes based on positioning. All this makes our products extremely versatile. You can even have a set of wall-installed photovoltaic panels of different sizes and with different finishes, allowing for an even more personal touch.